Bollywood actors are quite concerned about the well being of Mumbai city, this came to the forefront through an episode that took place on the busy Mumbai roads. 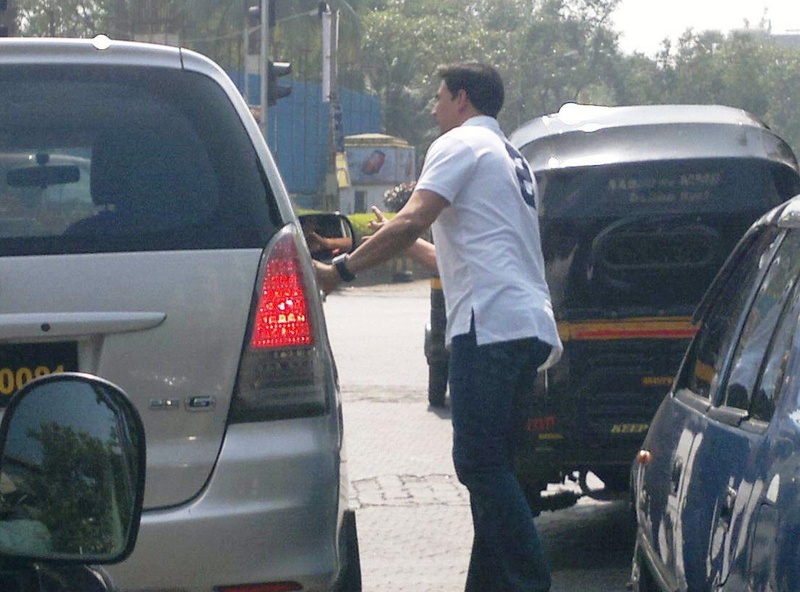 Bollywood superstar Akshay Kumar , stopped a car driver in the middle of a busy Road at Juhu. The reason being that the man had thrown out an empty packet of cigarettes on the road, thus littering it. India’s erstwhile Prime Minister has been promoting the Clean India programme since long, many celebrities have been doing the needful to spread the message amongst the masses of the country. From Salman Khan to Priyanka Chopra they all have done the job of cleaning their surroundings. Salman Khan is also keeping an eye that the clean streets do not return to their earlier a state. Now we have Akshay Kumar too doing the same, though the episode took place around four years back, the picture of Akshay Kumar stepping out and stopping that car has recently gone viral on social network. Akshay Kumar is known to live a healthy lifestyle, with his one move he has also proved that he cares for his country too.